Welcome Kevin DePape. Joined May 23, 2018. Father John B. Collins Council 5417 in Powell River received its charter on April 20th 1963 through the efforts of Walter Cavanagh, Jean Coccola, Michael Savage, Thomas Taylor, John McIntyre, Peter Molloy, Murray Doyle and Anthony Culos. It is named after Father John B. Collins who was sent to Powell River by the Bishop to build Assumption Church and school. He was Pastor when our council received its charter. Father Collins was our council’s first Chaplain and Anthony (Andy) Culos was the first Grand Knight. Since our council received its charter we have had 25 Grand Knights. Andy Culos 1963-65, Kip Sluggett 1965-67, Paddy Behan 1967-69, Joe Vantschip 1969-71, Fred MacLeod 1971-73, Guy Harrington 1973-75, Frank McCloskey 1975-77, Phil Knight 1977-79, Lionel Desilets 1979-81, Dan Behan, 1981-83, Wilf Belanger 1983-85, Tom Behan 1985-87, Rolland Desilets 1987-89, Fred MacLeod (2nd time) 1989-91, Don Bourcier 1991-93, Gervais Auclair 1993-95, Leo Gaudet 1995-97, John Schmidt 1997-99, Travis McDonough 1999-01, John Webb 2001-02, Travis McDonough 2002-03 (2nd time,), Jerome Desilets 2003-06 (3 years), Fred Rhodes 2006-08, Omer Ouellette 2008-10 Don Bourcier 2010-12 for 2nd time, Rolland Desilets 2012-15 for the second time, Don Bourcier 2015-17 for 3rd time, Hans Le Erichsen was Grand Knight from July 2017 to Feb. 2018 but resigned due to work commitments. Don Bourcier took over Feb. 19, 2018. A couple of interesting things to note are 3 brothers have served as Grand Knights, Paddy, Tom and Dan Behan. A father and 2 sons have also been Grand Knights, Lionel, Rolland and Jerome Desilets. The first contribution to our community by the Knights of Columbus was the purchase of a new ambulance for Powell River. One project we took on was to install smoke detectors throughout the Olive Devaud home for seniors. Our council funded and installed some new playground gym set for Assumption School in 2004. Our council works closely with Assumption Parish, providing funds for various projects. We have been big supporters of Pro Life, Birthright, Hospital Auxiliary and United Way throughout the years. We have been giving 2 scholarships to high school graduates for many years. We have supported seminarians. July 1st 1991 we purchased the old Powell River Golf Club house in the townsite to use as our hall. It seated 120 people and was used as a rental hall to generate income for the council. Our council had to raise $56,000.00 to purchase, update and furnish the hall. Our members and many wives spent thousands of volunteer hours refurbishing the hall. We provide a monthly pancake breakfast for the parish as well as an annual youth ministry graduation breakfast. We host an annual parish golf tournament and a Ladies Night Dinner and Dance every May. We run a “Keep Christ in Christmas” campaign in November and December. We keep a section of our highway clean as part of the “Adopt a Highway” program. We have won numerous awards including a “Star Council Award” in 1990-1991 and 1998-1999, the Columbian Founders Award in 1988-1989 and 1991-1992. The Father Michael J. McGivney Award in 1989-1990, 1991-1992, 1999-2000, 2000-2001 and the Insurance Founders Award in 2006-2007. This is not a complete list but a few of our accomplishments. As of February 23, 2018 we have 106 members in our council. We have 26 honorary life members. 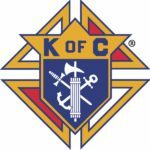 There are 28 fourth degree members in our council belonging to Father Victor Gallo Assembly which was formed in 2012 at the request and persistence of Omer Ouellette who also became the assembly’s first Faithful Navigator. Travis McDonough is the present Faithful Navigator. Our 4th degree members provide honor guard duty in full regalia for many parish functions.